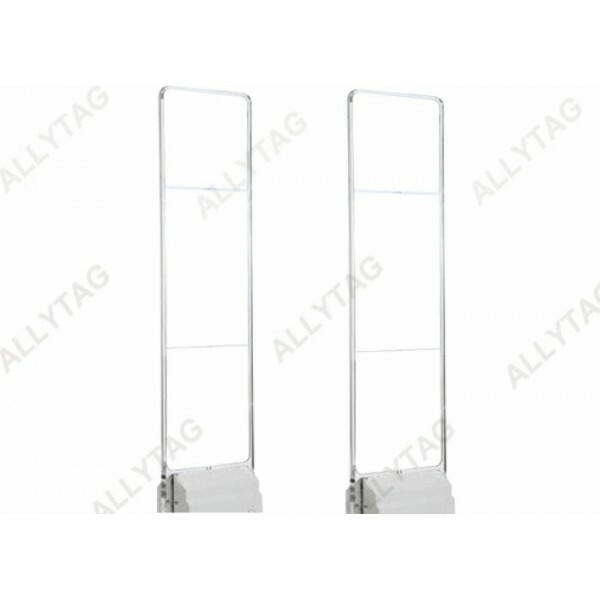 This radio frequency RF Eas system is produced with high quality imported acrylic material, the transparent feature of the acrylic making the system of high end and moden look. At the edge of the panel frame, we have lined in blue LED light to make the security system antenna look nice and attractive when alarming. LED lighting color can be blue, red, green or customized as per customers' requirement to accord with their retail style and decoration. 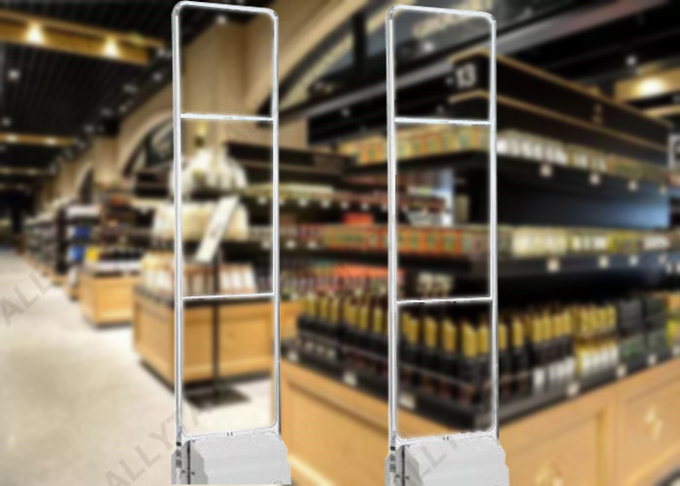 The EAS RF system is with two wire bars in the middle of the pedestal, the detection distance is about 0.8 - 1.0m for RF label 40x40mm, about 1.2 - 1.8m for RF hard tag. ​- Can work with all RF Eas security hard tags and labels. The EAS system is widely used for garment stores, shoe stores, bag stores, wallet stores, Toy stores, book stores or other retail stores. 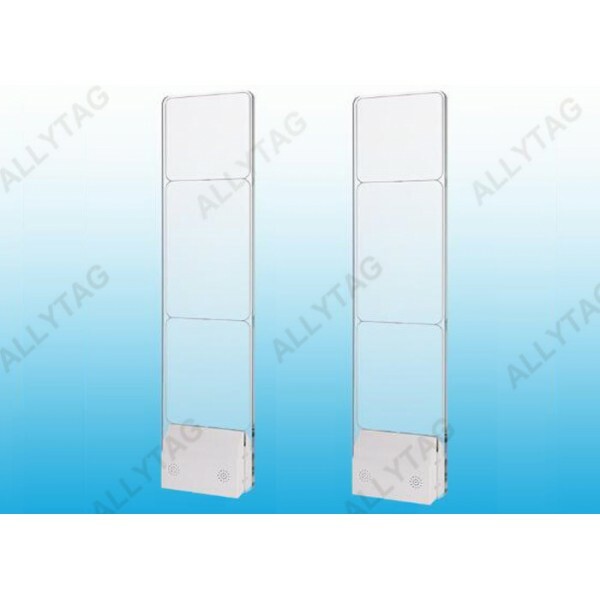 The high sensitivity and excellent alarming function makes the system antenna gates work and fit for all kinds of EAS security tags and labels. We developed the EAS security system by our own, and manufacture the pedestal mouldings in our own factory. With professional designing and engineering ability, we are able to develop the main electric board and assemble the whole security system in our workshop. And moreover, we have the best QC and testing team for quality control and system working function checking before ship out from our factory.